The Mayor's proposal for London's 2014/15 budget has been published and the London Assembly is going through the process of scrutinising and picking holes in it. There was a Budget Committee meeting this week where Boris Johnson appeared and there were a couple of items of interest. You'll hear a lot about how Boris's administration is saving you money on your council tax, but much like last year the amounts are small. Last year a Band D household had £3.72 cut from its council tax; for 2014/15 it's £4. That's over an entire year, by the way. Have yourself a pint and maybe a packet of crisps on the Mayor. Just don't splash out on Kettle Chips. 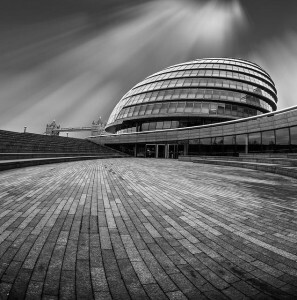 This cut in the GLA's part of our council tax means City Hall loses £10m from its budget. Dave Hill in the Guardian looks at what that could fund and comes up with 200 police officers for a year or 40,000 apprenticeships. Stephen Knight, Lib Dem Assembly Member, is also concerned that the cuts – which, obviously, reduce revenue – affects the Mayor's ability to borrow, which he'll need to do if he's to fund building enough affordable homes. The ongoing confusion about this year's fares also came up. We've written before about the delay surrounding this year's announcement of how much transport will cost us in 2014, but a brief recap: Boris unveiled fares on 3 December, much later than usual, with a travelcard increase of RPI inflation + 1%. Then two days later the Chancellor said national fare increases would be held down to 'just' RPI inflation. That threw Transport for London into disarray as they decided to match the RPI increase but couldn't implement it before 19 January – which is why we're still travelling on 2013 prices. I have no doubt the government will understand their obligation on that point... I have no doubt we'll be compensated by government in due course. Decisions by the Mayor of London regarding London transport fares, and the funding of those decisions, are a matter for the Mayor of London. It's hard not to draw the conclusion, as the Evening Standard did, that London is caught in a spat between the Mayor and the Chancellor. Both are seen as potential next leaders of the Conservative Party and TfL's budget seems to be the victim of a childish tussle. Nice. So let's put these two issues – council tax and fares – side by side. A Band D household (a family home or shared house, basically) saves £4 a year and costs City Hall £10m. It affects everyone who lives in London so everyone gets a cut. We also know that to reduce travelcards by 1% costs £15m a year and 'saves' a monthly zone 1-4 travelcard holder £18 a year, but only affects commuters. And as it is, that zone 1-4 travelcard holder is paying £63.60 a year more for travel than in 2013. Despite the Mayor saying in the committee that he recognises it's "important in tough times to bear down on people's cost of living", the comments about fare rises that were left on our Facebook update were not impressed. Has Boris made the right cost of living call? You can watch the full webcast of the meeting on the GLA website (Budget and Performance Committee, 14 January). If you do, we recommend you skip over the bit around 1 hour 5 minutes where Boris starts shouting about previous Labour policies if you want to avoid sinking into a funk about the standard of political debate in City Hall. Alternatively, go to 1 hour 12 minutes for Boris doing an inadvertent parody of William Shatner.